Updating the windows in your home can be a big investment. However, it can be a great way to improve your energy efficiency, especially as cold weather approaches. Here are a few things to consider as you weigh updating the windows in your home. If your home is older and you have wooden windows, you probably spend a lot of time and money keeping them up. Wood can rot and also needs to be painted on a regular basis. If you haven’t been able to keep up with the maintenance requirements of wood windows, the exterior of your home may look rather shabby. Cheap windows installed in some newer homes can also start looking worn in a short time, as well. In either case, updating the windows in your home can give the exterior a fresher and more attractive look. Often older or low quality windows are not very energy efficient. If you are losing heat or cool air through gaps in the window frames, new windows can really help. 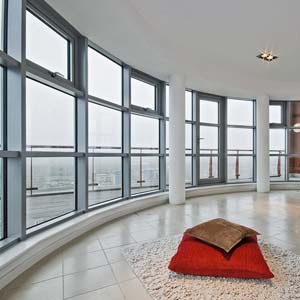 Modern windows have better insulation to keep out the weather and better regulate the temperature of your home. They’re also better able to keep out noise. Another important consideration when updating the windows in your home is security. Old windows are often hard to lock and easy to break. Newer windows have better security latches that are likely more durable and harder to break. However, regardless of security, strength and functionality, the look of the window may be your biggest concern, so make sure you choose one you like!